Supply your PC with the power it needs using the Replace Power RP-ATX-850W-RD 850w psu. This is an effective ATX power supply that has red LED lighting that will look great in your PC. This 850 watt power supply unit has a beefy +12V rail that outputs 66 amps, enough to support even high end video cards. 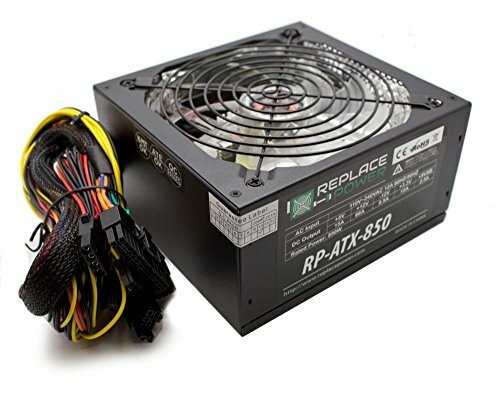 The Replace Power RP-ATX-850W-RD power supply features a large 120mm fan that will keep your device cool and will ensure that this 850 watt power supply lasts a long time. Large Fan reduces operating heat!